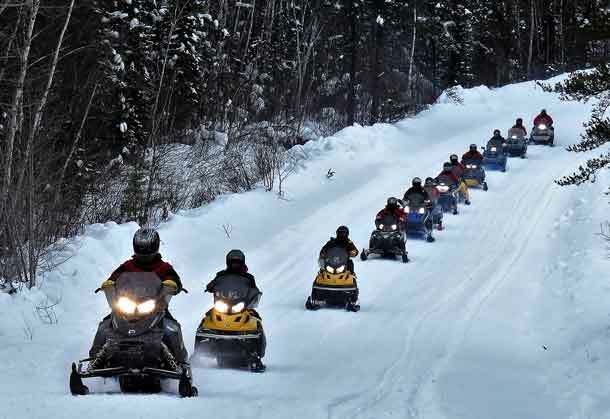 NIBINAMIK – A brother and sister escaped unharmed when their snowmobile was destroyed by fire while they were travelling from Wunnumin Lake to Nibinamik, two small Oji-Cree communities in the Far North of Ontario. 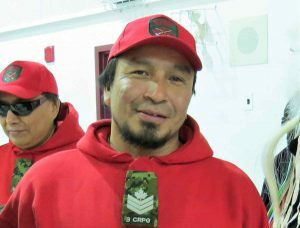 He was in Wunnumin Lake for a popular hockey tournament that attracted players and team supporters from several First Nation communities when he received a call on his cell phone. The call was from his son, Ridley, 18, who had played in the tournament and left for home by snowmobile with his sister, Marcelline, 12. Nibinamik is 60 kilometres from Wunnumin Lake. 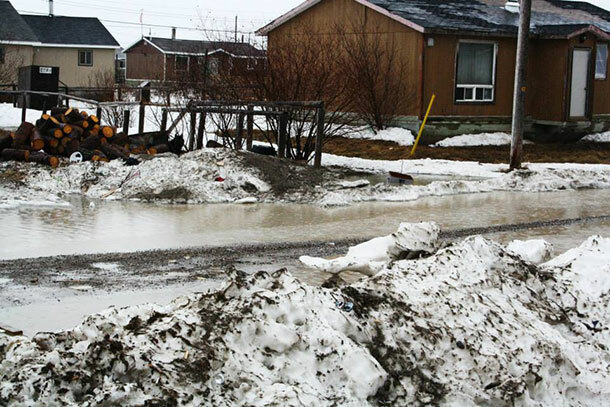 The isolated First Nations are about 500 kilometres north of Thunder Bay. The brother and sister had no emergency supplies and the temperature in the late afternoon was 1C but expected to drop quickly to an overnight low of -12C. The fire occurred about 20 kilometres from Nibinamik. The pair started walking to Nibinamik. Ridley is a Junior Canadian Ranger. Sergeant Oskineegish had difficulties getting help. Most of the Rangers in Nibinamik had gone to the hockey tournament or could not be reached. The experienced hunters who could have helped were on the land hunting moose. The local police were unable to mount a rescue mission and contacted the Ontario Provincial Police. 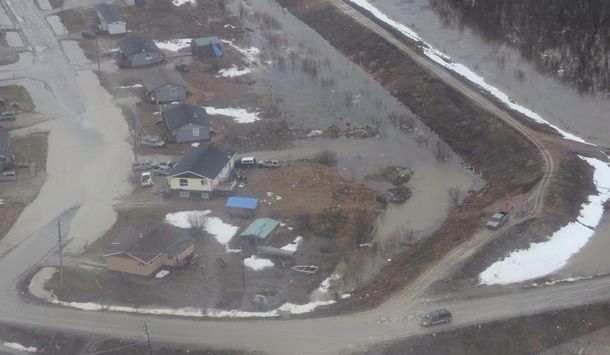 The OPP asked the Canadian Army for help and the Rangers were authorized to conduct a search and rescue operation. The Rangers are part-time army reservists. There were only two Rangers in Nibinamik at the time. Master Corporal Leo Oskineegish assumed local command of the rescue and manned a command post. Ranger Jethro Oskineegish teamed up with a civilian volunteer, Mathias Oskineegish, who is a grandfather to the missing pair. Both Master Corporal Oskineegish and Ranger Oskineegish are cousins of Sergeant Oskineegish’s. 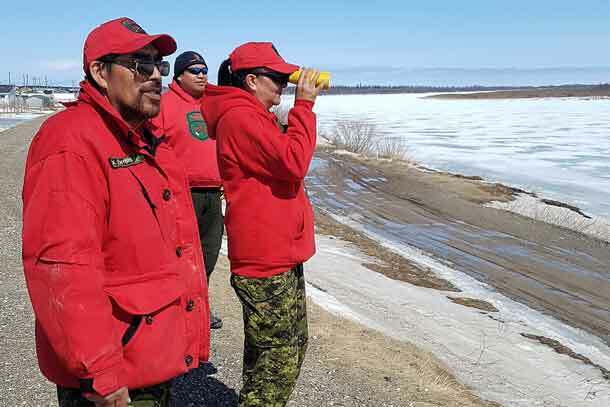 Ranger Oskineegish and Mr.Oskineegish found the missing pair walking about 15 kilometres from Nibinamik and returned them to their home unharmed. Lieutenant-Colonel Matthew Richardson commands the Rangers of Northern Ontario. 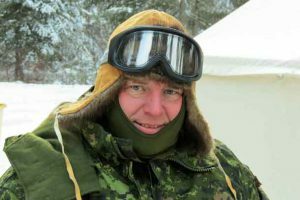 “I’m very happy about the missing pair being saved,” said Lieutenant-Colonel Matthew Richardson, who commands the Rangers in Northern Ontario. “Although they didn’t have any survival equipment they did have a satellite phone. If they hadn’t had it it could have been hours before we were alerted and been able to go out and find them.